Enjoy the great LOCATION of this MOVE-IN READY home in Bison Valley, full of HI-TECH UPGRADES. This quiet family neighborhood is just around the corner from shopping & restaurants along 466. Security camera, video doorbell, & keyless entry. Solar powered attic fan, Bali solar shades, motion sensor LED lighting, ceiling fans and 2" blinds will keep your SECO power bills even lower. Wired for surround sound & outdoor speakers. Freshly painted inside & out. 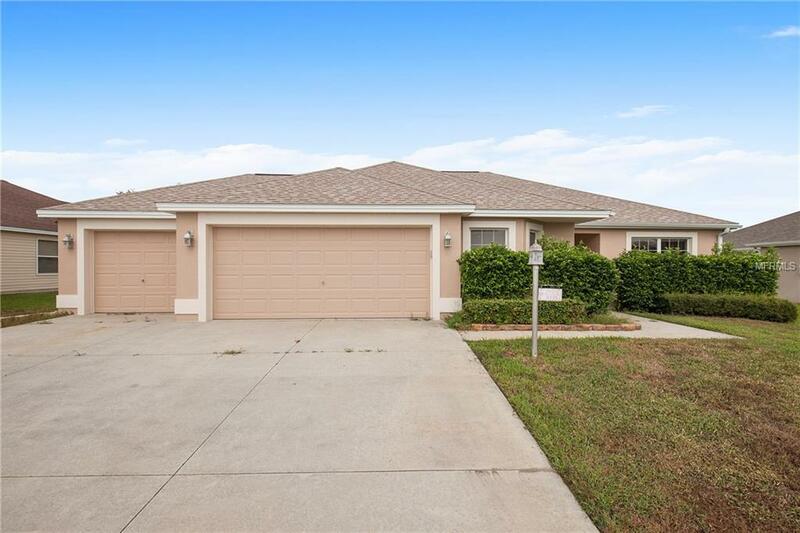 Bamboo wood plank floors, split & open floor plan, duel sinks & walk in shower with massage shower heads in master bath, water filtration system, screened porch w/fan, Golf cart friendly area-3 car garage has room for your cart. Inside laundry w/laundry tub. Villages Charter schools. Roof NEW in 2015. Work Bench & Fridge in garage stay.